3D digital model printed out as a real world object. 3D Printing has been a hot topic as of late. Curious as to what all the hypeâ? ?s about? To best define what 3D Printing is the process of creating three dimensional objects from a digital design. If you can dream it, you can print it. 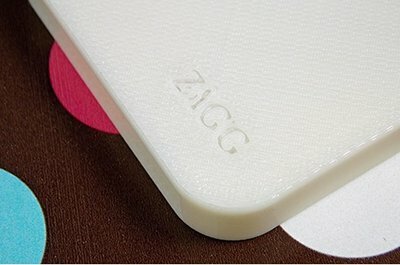 A few of us from ZAGG wanted to know how easily the average Joe could pull off a 3D printed project, so we thought weâ? ?d try our hand. Hereâ? 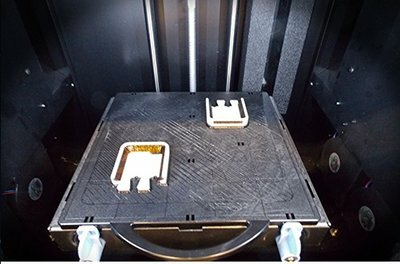 ?s a step by step guide at how we used a 3D printer with absolutely no experience. If youâ? ?ve got the software and skills to create your own computer aided design (CAD), bravo! As for the rest of us, donâ? ?t panic; weâ? ?ve got options. We got our design from Thingiverse, an open source site where you can find 3D printable designs and download them for free or buy a design. You could also hire someone to do the designingâ? ?we found someone on fiverr willing to create basic 3D designs for a super cheap price. Above you can see the CAD rendering of the top half of the case. 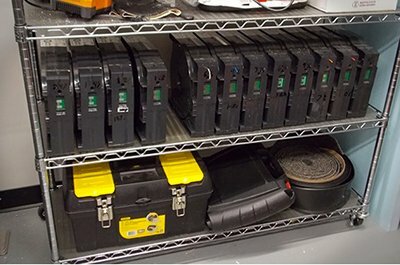 Just like your standard office printer, 3D printers need cartridges. You can choose from a variety of different materials, which makes these machines so diverse and useful. 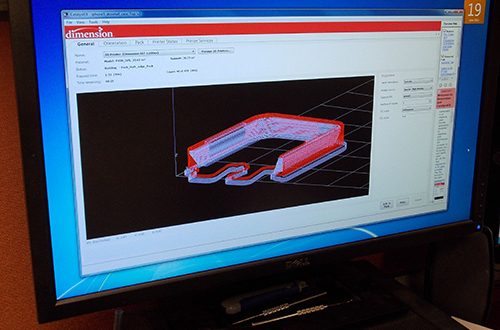 Just as you would print a document, simply send the .STL, 3D Step file, or any supported 3D design to your 3D Printer. Layer by layer, the material is deposited, and your item will quite literally be built from the ground up. When the item has finished printing, soak it in this special acid that dissolves the support materials that filled the hollow spaces in order to print effectively. And youâ? ?re done! Â Weâ? 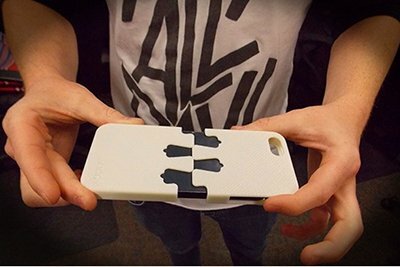 ?re very happy with the way our 3-D printed an iPhone 5 case came out, and it really was remarkably easy to execute, although it did take a long time to print. Still not impressed? Even though our design was fairly basic, there is no limit to what 3D printers can create. Hereâ? ?s a few of the crazy things you can print. 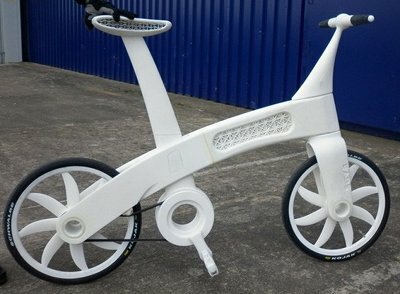 Although this bike is certainly unique looking, itâ? ?s fully functional and can get you where you need to go. 3D printers can create fabric faster than conventional methods. 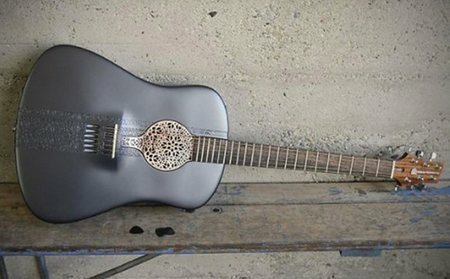 Guitars can be custom printed, and could even modeled after famous rock starâ? ?s iconic guitars. 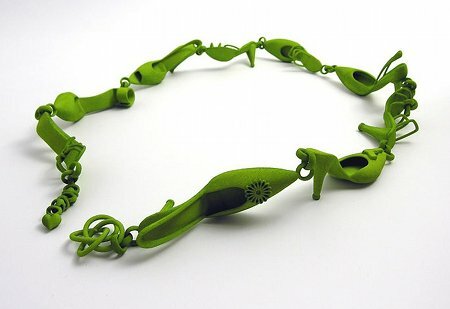 3D printing has entered the world of fashion. There have been entire fashion shows dedicated to 3D printed fashions. 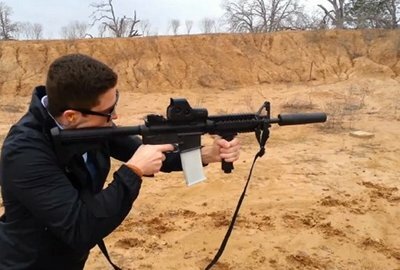 To the dismay and worry of some, you can download and print a working gun. This 3D printed car called â? 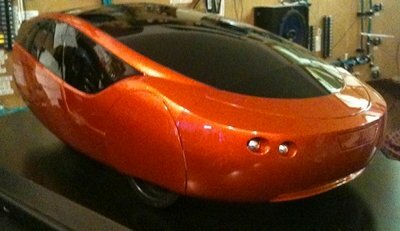 ?The Urbeeâ? runs on ethanol and gasoline, and gets up to 200 miles to the gallon. Sci- fi alert: Human body parts are now printable. 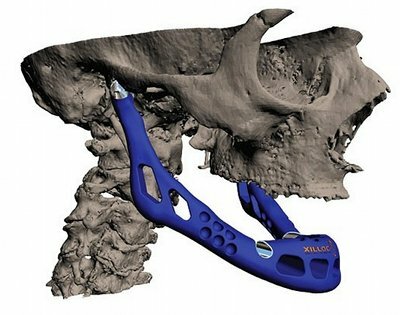 This jaw replacement and bionic ear are good examples of the tremendous potential that 3D printing holds. What Would You Create With A 3D Printer? Ask yourself, if you had a 3D printer what would you make? We had a few ideas weâ? ?d like to make. We posted a blog survey, to see what others would make. How are a few comments we got from this. Surprisingly a few of them already have 3D printer and using it daily. Took it upon ourselves to find a 3D printer and print a protective case for one of our iPhone 5. One of the benefits of working for a company like ZAGG, we have our hands on an ABS 3D printer. We followed the basic step guide, picked a design and tweeted it to customize our personality. Used what we had on the rack and loaded the printer up with material and 3D printer support material cartridges. Passed the design to our printer and waited two whole hours for it to finish. Once if was complete we pulled it out, like it was fresh out of the oven. There are a few different kinds of 3D printers out there and this one required support materials to insure the item doesnâ? ?t fall apart on itself while printing. If you donâ? ?t have the fund for this type of 3D printer they make free form 3D printing guns and cheaper slower printers that donâ? ?t require the support materials. The next step is to remove the support plastic with a special acid that dissolves the plastic. It seemed like a long process to print and remove the supporting plastic however this case was full functional and awesome! What is the cost of a 3D Printer & what does it need to run? 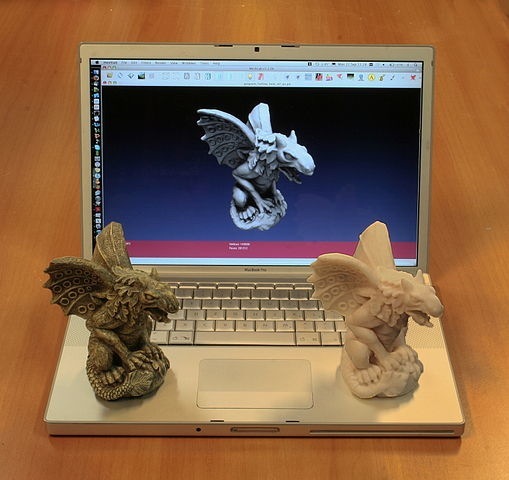 The cost of a 3D printer can vary from $50,000.00 to $397.00 (check out home-use Kickstarter project) in price. Each 3D printer is created to handle different materials including work for NASA. They have a 3D printer to make space pizza. No joke. A 3D printer needs certain supplies in their cartridges to create such crazy and wacky dreamed-up things only Trekkies could predict. A 3D printer cartridge cost can range from $50.00 to $100.00 per cartridge. In most cases the printer will need two of these cartridges to work for its intended purpose. In most cases, one cartridge is used to construct the object youâ? ?re creating and the other cartridge is used to print the support object or the â? ?negative spaceâ? of your print project. No one would want their invention to collapse on it. There are plenty of websites available to find and purchase 3D printer materials such as Amazon; even Staples are known to have 3D printer cartridges available for the average Joe. What 3D Printing Means For The Future? Every day, innovators are finding 3D printing breakthroughs, like printing body parts in case someone is in need of a transplant and canâ? ?t wait 3 month to a year. I can see it now: every home having a 3D printer to make dinner, print that brand new kitchen table instead of buying it online like I just did. Later that day Iâ? ?ll eat that food I printed on that table I also printed. Mind blowing! Christmas would sure be a lot easier! Itâ? ?s still up in the air but however big you dream, it could happen in a flash. Dustin Lowder is a technology writer for ZAGG. Title image courtesy of aLoopingicon/own workby uploader.